End mills come in all shapes and sizes. 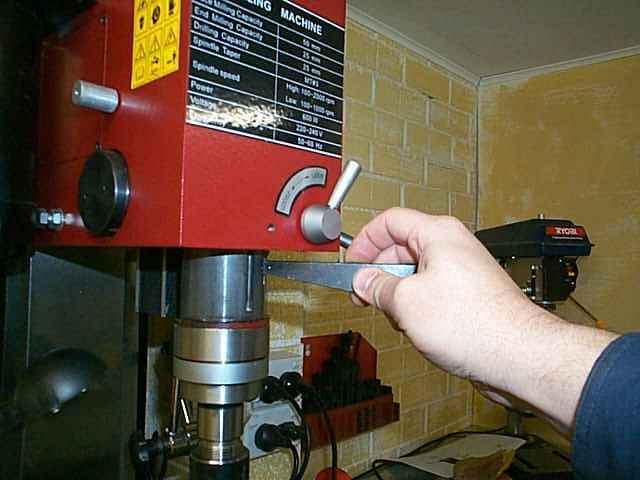 There are many different systems for securing end mills but all operate on the same premise, tight hold. My mill has a morse taper of 3 also known as MT3. 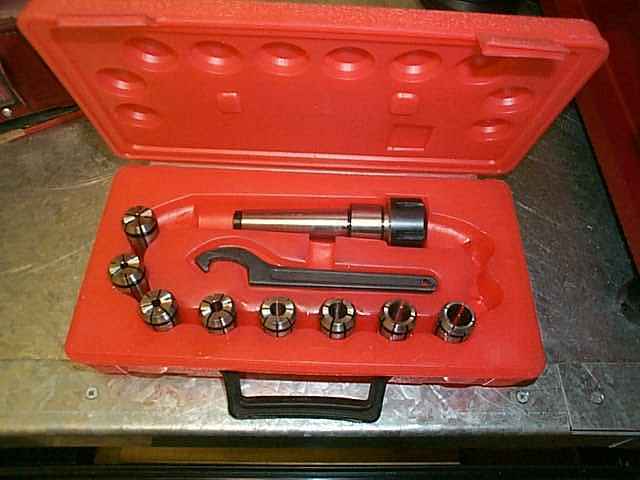 I decided to purchase a collet set as this was in my case least expensive. You can opt for MT3 collets instead of a collet chuck however the process of changing them is the same as removing / installing the collet chuck. 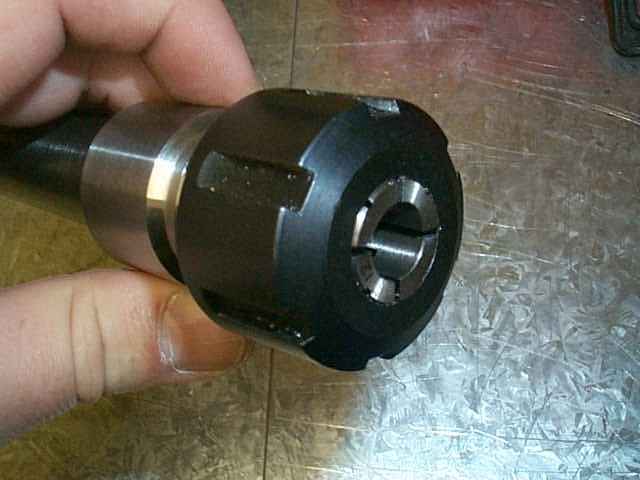 If you need to change collets regularly, a collet chuck is quickest. Why not just use a drill chuck to hold the end mill? 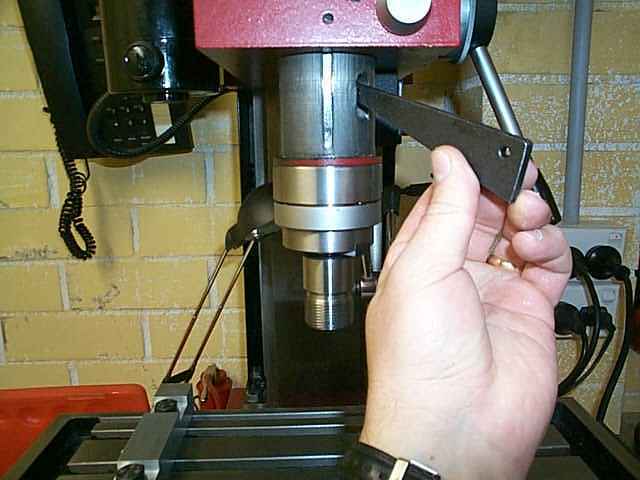 This will result in movement of the end mill which will affect the finish of the job. The collet holds everything tight. My collet set goes up to 16mm which does most jobs. For my 20mm end mills, I need to buy a collet that will go into the spindle direct. This is my collet set. It contains collets, a collet chuck and a collet chuck key. 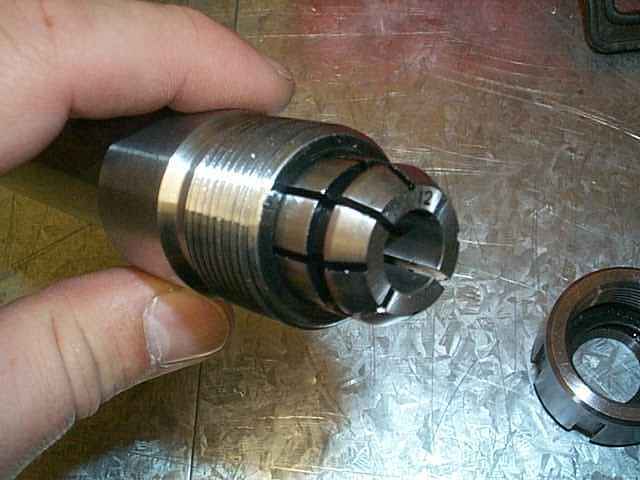 The collet is tapered so that when the chuck is tightened, the collet is pushed back into the collet holder causing it to compress. The compression force secures the end mill. 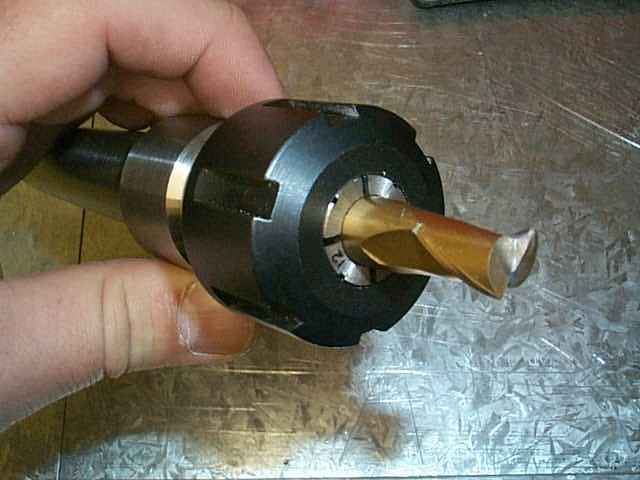 The collet chuck is basically a hollow nut that screws over the collet and onto the collet holder. 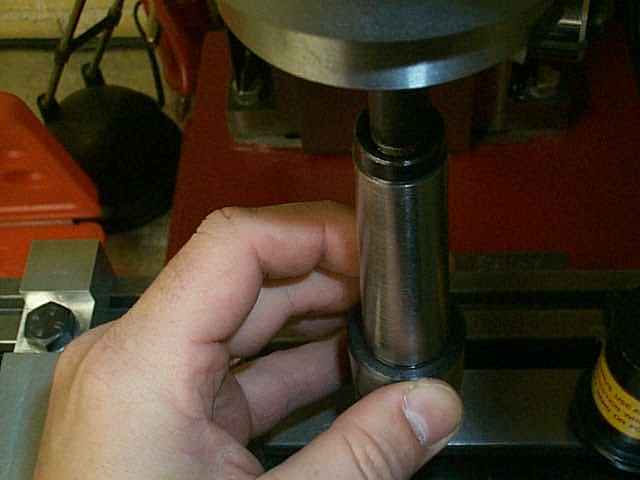 The nut then pushes the collet back into the hjolder causing it to compress into the direction of it’s axis. This is what it looks like when you fit a 12mm 2 flute end mill. The other end of the collet holder has a threaded hole in it. 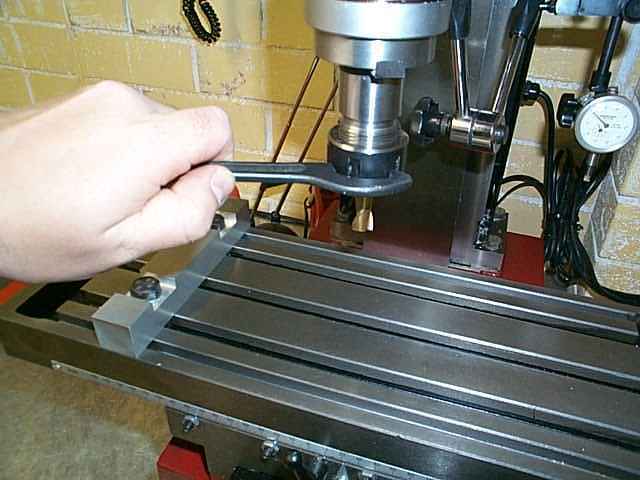 This threaded hole points upward when the holder is inserted into the milling machine spindle. The drawbar is threaded into the hole. 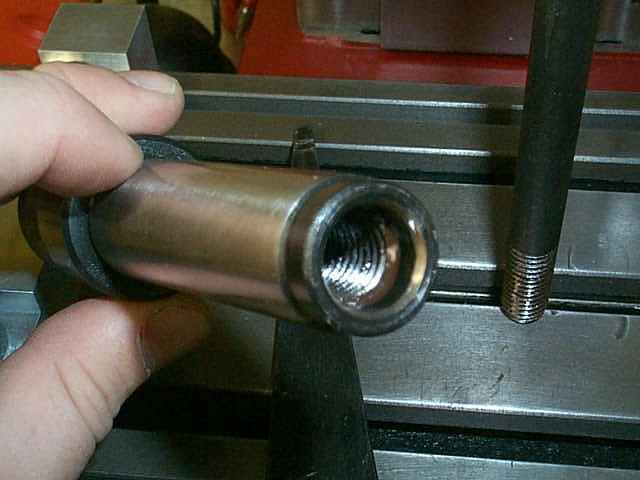 Threading the drawbar into the collet chuck before pushing the assembly up into the spindle. The black thing on the right is the cover for the splined shaft in the picture on the right. Once the assembly is pushed up into the spindle, the draw bar pockes out of the spindle drive shaft. A washer and nut is fitted and the whole thing tightened. 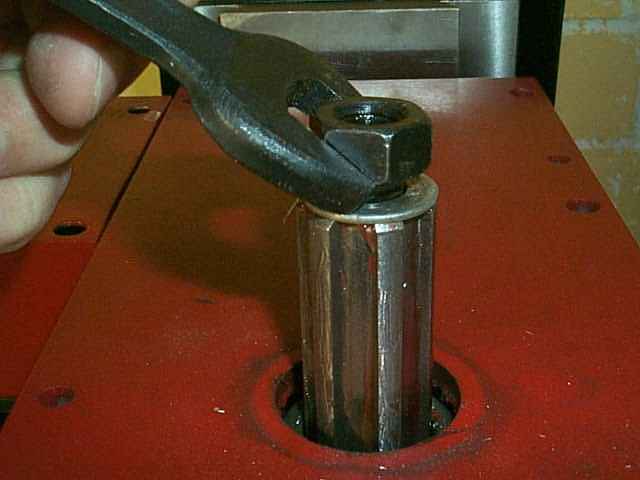 The nut pulls the draw bar up and this brings friction forces against the taper of the spindle. The tighter you tighten the harder it holds. There is no need to tighten too hard anyway as the taper holds well with little force. 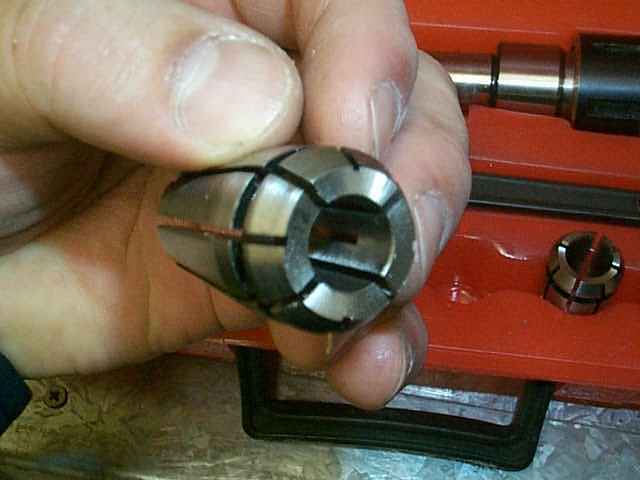 I normally stick this wedge in a hole in the spindle shaft to lock it whilst tightening the nut or the collet chuck. Left or righjt handed. I am a really talented person. LOL. Finally, a tighten of the chuck and your off.